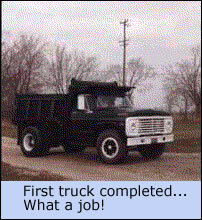 It was in the early 1980's, a time of severe layoffs for many blue collar workers in America. 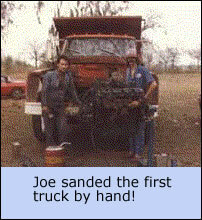 The solution was apparent to our founder, Joe, a heavy equipment operator by occupation, purchase a truck and go into business for himself. You're probably assuming that Joe's last name is Hollow. But no...there is no Joe Hollow. There was a small hollow in the back of the original site of the business. The original idea was to name the company and site "Happy Hollow Acres". But the kids said, "No way! Too corny." So Hollow Trucking Company seemed to fit well. Now we have a small interest turned into a small business. Family owned and operated. Servicing local, national and international communities.